One of the defining traits of the PlayStation brand has always been strong third party support. It's what allowed Sony to wrestle control of the market from Nintendo with the first PlayStation. It's what pushed the PlayStation 2 to be the best selling console of all time, and it's been a reason the PlayStation 3 was able to provide a few strong Japanese exclusives to keep it in its race against the Xbox 360. And it looks like the PlayStation 4 is about to follow suit. 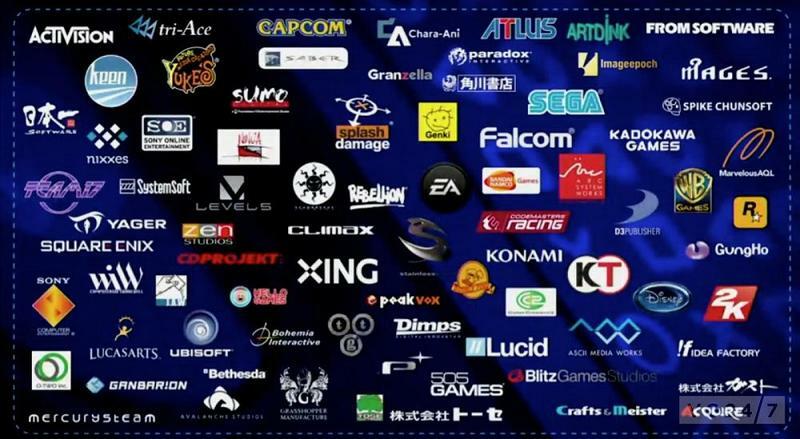 Sony has released a list of 149 companies who have already committed to designing games for the upcoming console. From the heavy hitters EA, Activision and Ubisoft, to popular Japanese old-timers Capcom, Square Enix and Konami, everyone seems to want a piece of the action. Even a handful of indie developers and small time Japanese outfits have jumped aboard. Check out the full list below. Any stand outs you'd like to see some announcements from? Red Hare Studios XPEC Entertainment Inc.